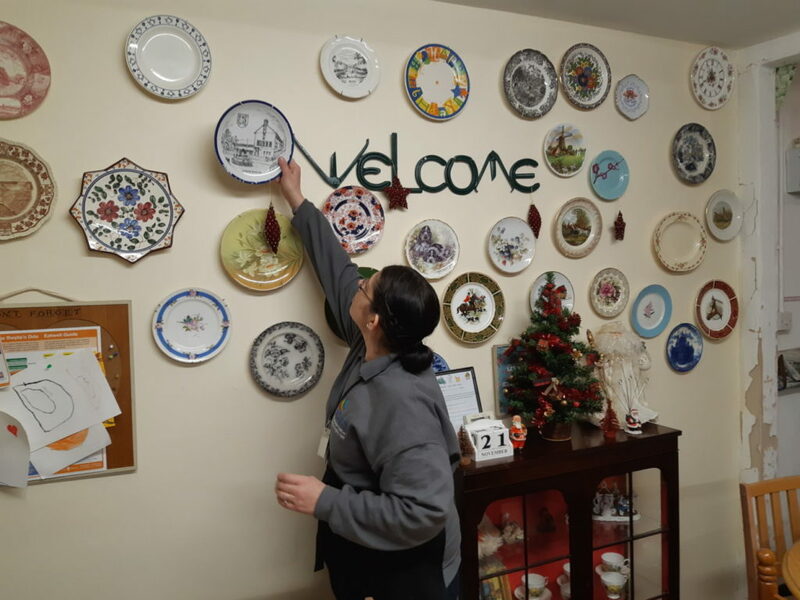 Tracey aka Crazy Plate Lady, is here putting the newest plate in her collection on the wall. She on occasion works in the cafe too but that’s just a little side project! 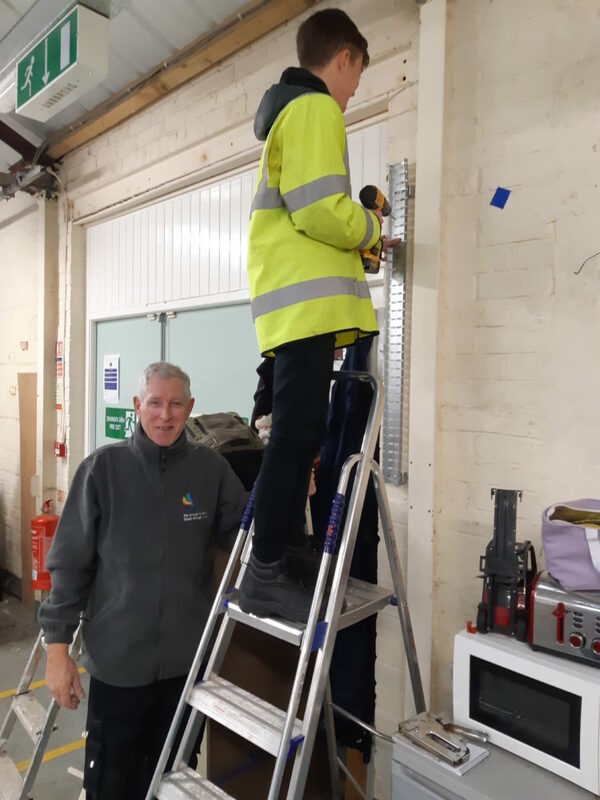 Here’s our electrician Ralph with our young student Louis, helping in the AATF area. 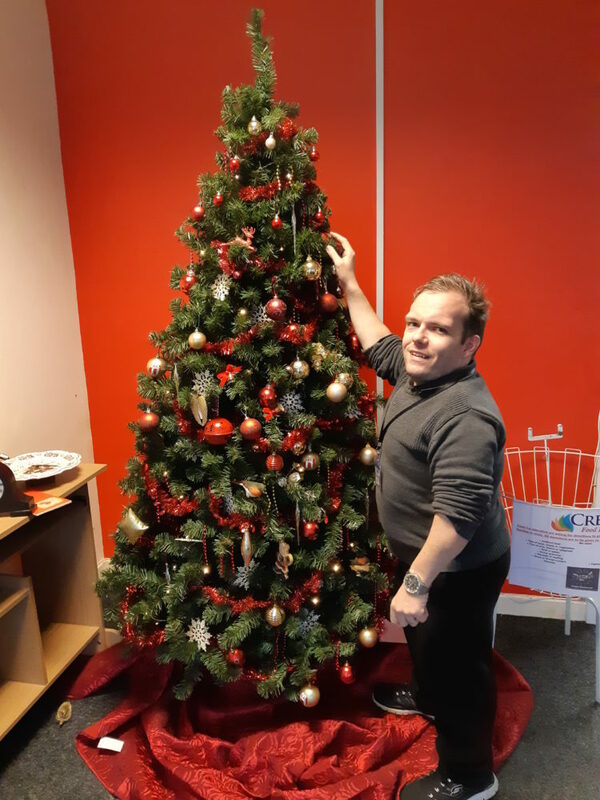 I thought you were supposed to hold ladders with two hands Ralph?? Health and safety! 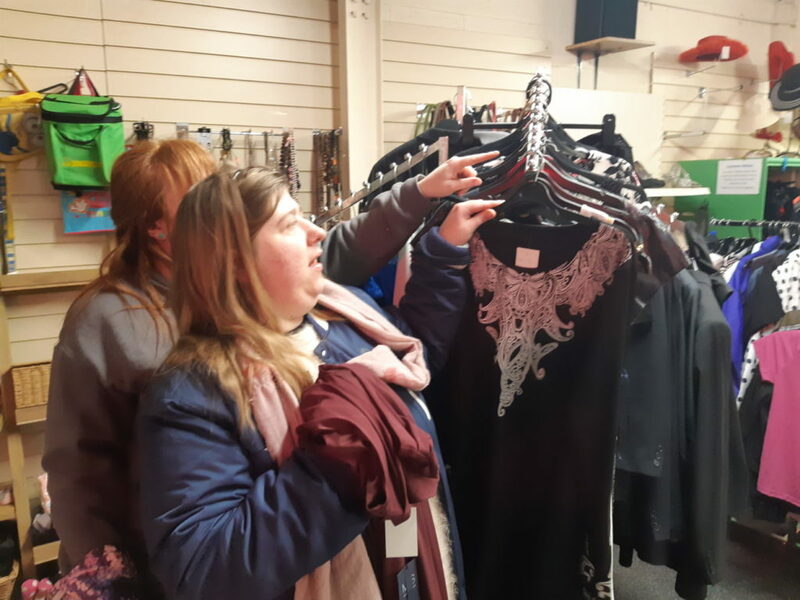 Here’s Lowri and Louise, putting up clothes in our Llandudno Junction shop. Lowri was so happy when I told her we couldn’t see her face in this shot. “Use that picture!”, she pleaded! 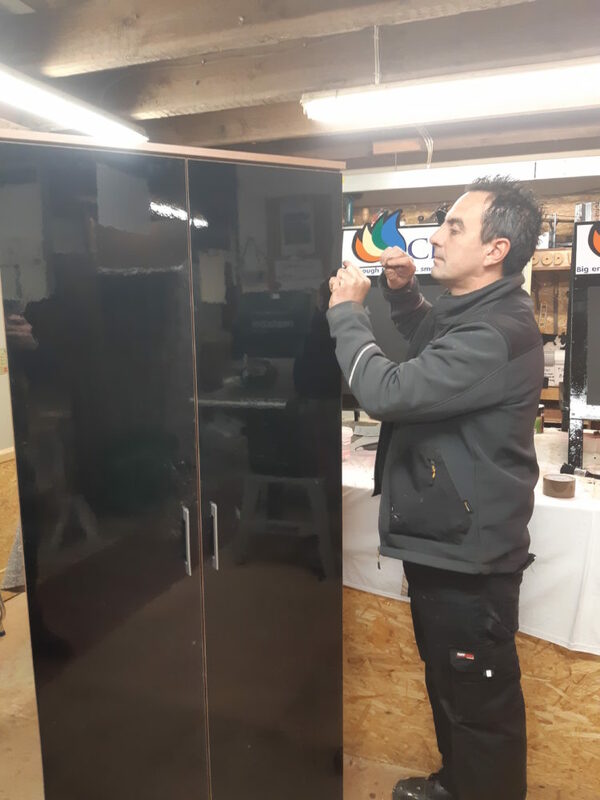 And finally here’s our exceptional cabinet maker Jamie, putting up a flatpack wardrobe. Do you know we sell new AND pre-loved goods? Check what’s in shops!